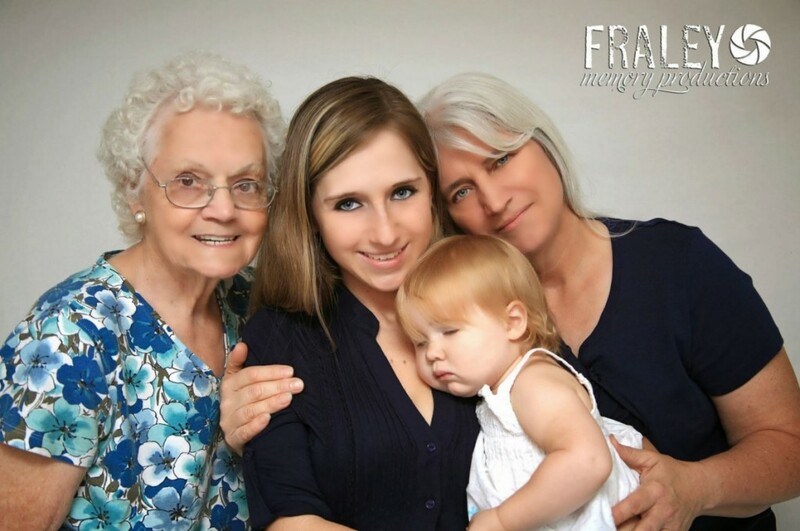 Fraley Memory Productions’ New Photo Studio Is Now Open to Clients in Cuyahoga Falls! Since 2009, Fraley Memory Productions has been committed to providing local families with the quality photography services they need to capture their most precious moments without having to spend a fortune. The high-quality work and affordable pricing offered by this professional photography business has made them a popular choice for residents throughout the Akron, Ohio and Tallmadge, Ohio areas. Recently, Fraley Memory Productions was able to relocate to a larger facility in Cuyahoga Falls, Ohio, giving their clients a greater variety of options in terms of indoor/outdoor photo shoots than ever before. Needless to say, this husband and wife team is extremely excited about the move to their new photo studio! Fraley Memory Productions’ new photo studio—conveniently located at 1729 Portage Trail in Cuyahoga Falls—is significantly larger than their previous facility. This change in venue will undoubtedly benefit clients since Fraley is now able to accommodate bigger groups who would like their family photos taken indoors. Before the move, groups with more than five people had to be photographed outside, which often proved difficult because of the area’s notoriously unpredictable weather. Along with having a more spacious interior, this professional photography business recently added new backgrounds to use for indoor photo shoots. Clients interested in family photos, engagement shots, pregnancy pictures, child photos, and more have a large selection of colorful backdrops to choose from. Neutral backgrounds are also available in the form of solid grey and black walls. Clients who like the idea of outdoor photo shoots will also be pleased with Fraley’s location change. The new photo studio is just a short drive away from Falls River Square—a beautiful event site that attracts residents from all over Akron, Tallmadge, and beyond. Many other metro parks are also located in the general vicinity. Since Fraley Memory Productions “officially” moved into their new photo studio two months ago, this professional photography business is all set for bookings. To view child, engagement, holiday, pregnancy, senior, and family photos they’ve done in the past, visit their website at www.fraleymemoryproductions.com. Those looking to schedule an indoor or outdoor photo shoot can give Fraley Memory Productions a call at 330.703.9228 or 330.608.5865. Just keep an eye out for news about their Star Wars mini sessions in late spring to take advantage of their quality photography services! This entry was posted in Photography and tagged child photos Cuyahoga Falls Tallmadge Akron Ohio, family photos Cuyahoga Falls Tallmadge Akron Ohio, Fraley Memory Productions, indoor photo shoots Cuyahoga Falls Tallmadge Akron Ohio, outdoor photo shoots Cuyahoga Falls Tallmadge Akron Ohio, photo studio Cuyahoga Falls Tallmadge Akron Ohio, professional photography business Cuyahoga Falls Tallmadge Akron Ohio, quality photography services Cuyahoga Falls Tallmadge Akron Ohio by admin. Bookmark the permalink.